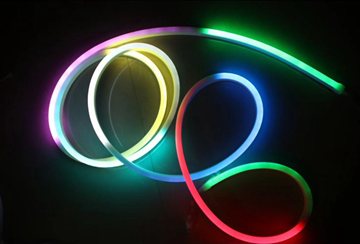 LED Modular Light is also called LED aluminum profile, LED aluminum channel or LED extrusion aluminum, soft rubber silicone led strip stripe and so forth.We could easily see many lighting projects has the led aluminum profile involved because of simple installation, less cost, customized shape and size. We would surface mounted aluminum channel, recessed extrusion profile, pendant the extrusion linear, screw corner profile or stick strip light which help our clients to cut the installation troubles. What’s the difference of MAX Illumination LED Aluminum Extrusion Profile? 1. Over the 100mm gap of led aluminum profile, we would like to install our unique design led light panel instead of traditional led light strips which creative a soft and uniform lighting atmosphere. 2. We not only supply a wide range of models of LED Aluminum Profile, but also provide the led aluminum channel cover like original clear diffuser or the silicon rubber cover for the slim led aluminum profile as well as the transparent silicone soft rubber products. And the silicon rubber tube is the waterproof and heat resistant. Normally, we have a direct vision on the led strips, it has a glare light which make us eyes uncomfortable so we avoid any eye contact. However, the silicon rubber tube would total change the glare spot light into the soft lighting strips. Moreover, the silicone rubber strip is an excellent material for sealing and edging applications. It’s easily cut with a knife or bonded to stick the ultra-thin space. In some lighting projects requirement, the traditional aluminum profile might not be curved or bent, but the soft silicone strip light could be bent to fit on the target lighting products. Therefore, the flexible soft led tube/channel give designers and contractors much more ideas for the difficult task.It would be another popular soft LED Aluminum Profile. 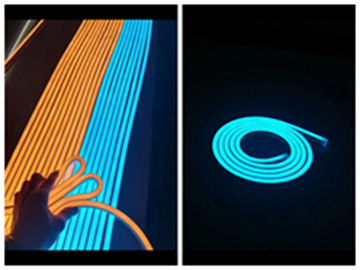 We offer the both traditional LED Aluminum extrusion strip and flexible soft silicone rubber led light strip for your strip lighting applications.